Height Adjustable Shower Stool, Lightweight Aluminium. 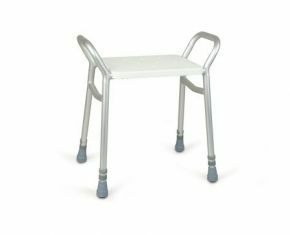 This height adjustable shower stool has a lightweight aluminium frame and a clip-on plastic seat that can be easily removed for cleaning. The handles on the side of the seat provide additional support when rising or lowering.